Blog Quick Quotes: Double Inspiration: Marcia and Wendy! Double Inspiration: Marcia and Wendy! Wednesday Greetings to you! Today we have twice the inspiration for you with Marcia and Wendy hosting the blog. Grab your favorite beverage and enjoy! 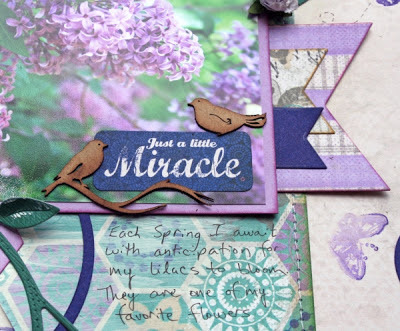 Hello Quick Quotes friends, Marcia here with some layout inspiration for you today and a confession. I have a love besides scrapbooking - (gasp!). It's flowers. I have flower beds all around my yard. There is something blooming at all times from May - October (or when it freezes here in Minnesota). My lilacs are one my favorites in the Spring. I love their scent. The Dusty Roads papers are the perfect colors for showcasing my beautiful lilacs, don't you agree? 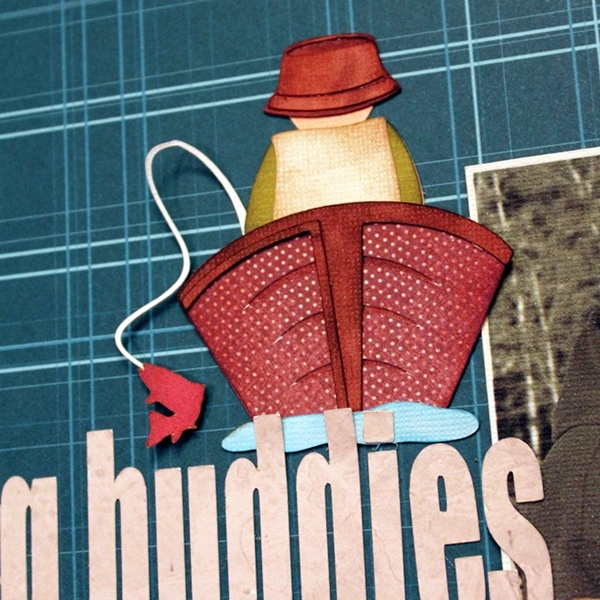 The bird chipboard piece is from the March Club Q kit. I played up the hexagon shapes with some punched out pieces, using a butterfly stamp on a few. 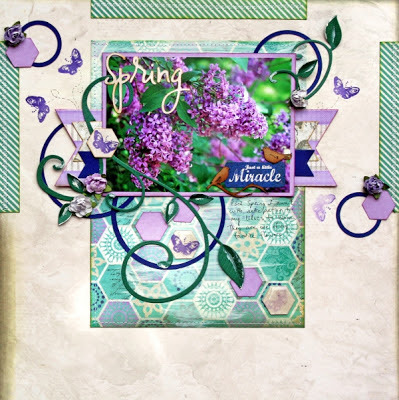 Epiphany Crafts Hexagon punch and epoxy shapes. Hi everyone! 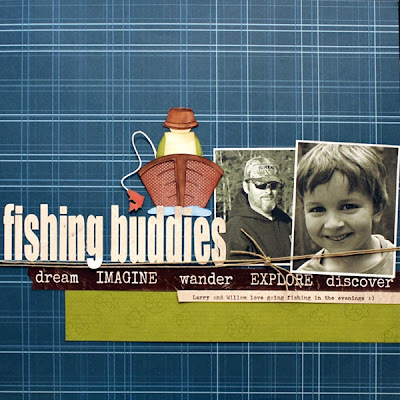 Wendy here with a father and son fishing layout. My youngest loves to fish and would happily do it all day long. I'm glad to see these two have a hobby they can share. The fishing character is a Silhouette cut. I used some of the Quick Quotes pattern papers and inks on it. Thanks so much for stopping on over to visit us today at Quick Quotes! Have a wonderful Wednesday. Marcia, your layout is beautiful! Wendy, I love the diecut! Marcia, you are right,the Dusty Road paper is perfect for your photos. I reall like how you framed your flowers with the "vines". Both of these layouts are fabulous!! I love the vines on Marcia's and I adore the sweet little boat on Wendy's! Wow girls, your projects are amazing! 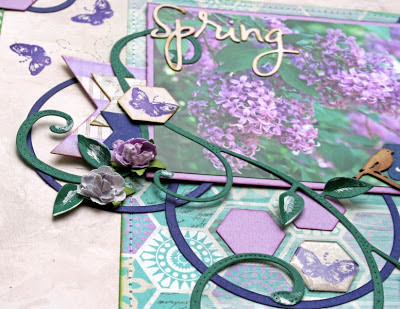 I agree that the Dusty Road collection highlights your lilacs beautifully. I am a hugs flower girl too. Wendy.. that little boat is just too cute on your layout! Great job ladies.